Blog Posts for "richard schmid"
As I mentioned a couple of days ago, after reading Richard Schmid's book on painting, I decided to explore my palette of colors further by mixing each color with each other color and setting the individual swatches side by side. What you see above is that effort. So for each column and row that a native color is found, it has been mixed with every other color and in order. 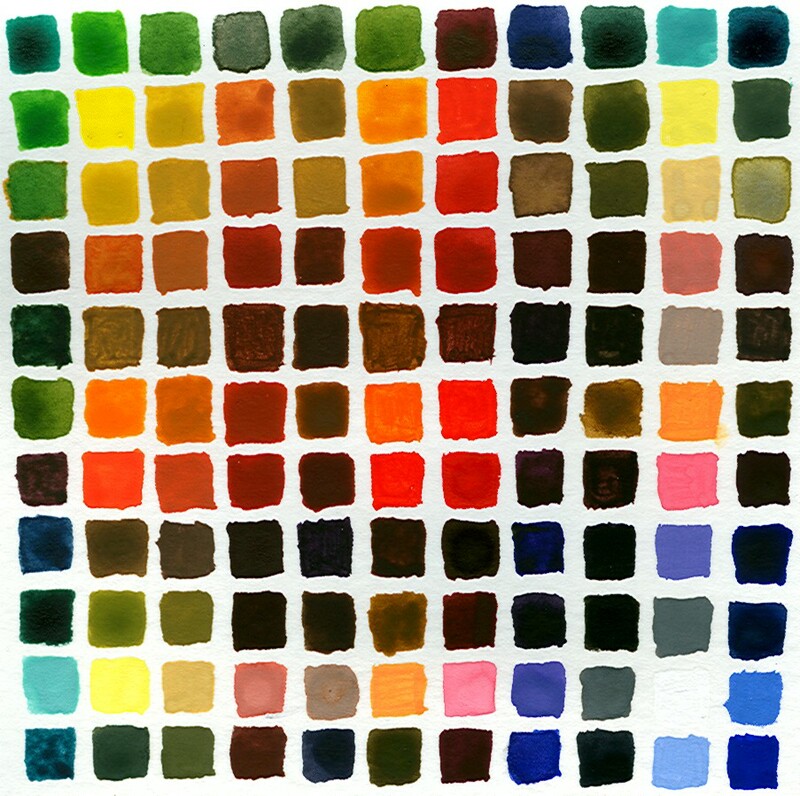 To explain, the 4th row and the 4th column are all colors mixed with Burnt Sienna. 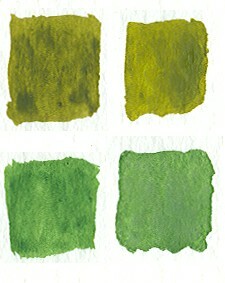 The first color mixed would be Viridian, the second Cadmium Yellow Pale, and so on. I'm now strongly of the opinion that every painter should do this. I learned a great deal about the strength of some colors, such as red, to easily overpower another color when mixing the two. Here you have White/Viridian and White/Cadmium Yellow Pale on the top, and then on the bottom, Blue/Viridian and Blue/Cadmium Yellow Pale. These work together. It's because they have colors in common that tie them together. That tie of colors together creates a transition that our eyes can follow. In my first example, I get from White/Viridian to Blue/Cadmium Yellow Pale through White/Cadmium Yellow Pale and Blue/Viridian. Seeing this helped me to understand Schmid's concept of Edges better. 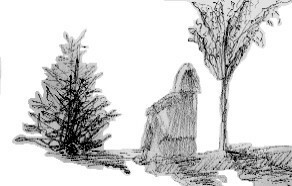 An Edge is the transition from one color to another. It can be rapid or slow, steep or shallow. 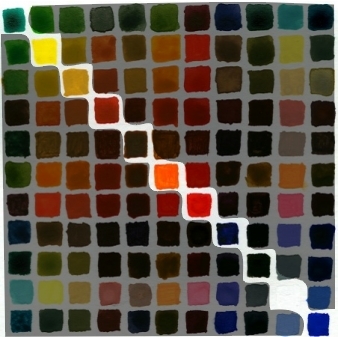 But as long as it is a migration that makes sense in terms of color changes, the eye will accept in a painting. 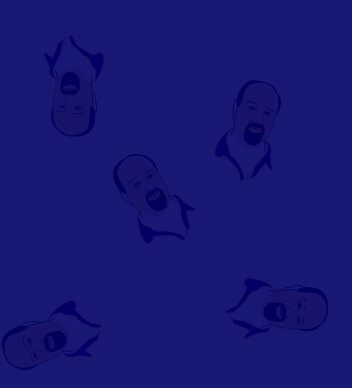 Edges are "smoothed" in Photoshop. 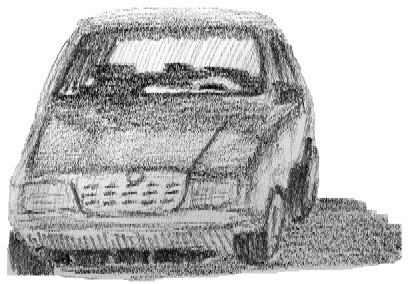 Not so in Paint. There you'll see hard edges driven by the pixel. Hence the term, "pixelation." I've found that I really like the series of colors that share a base color. I plan to explore that more. 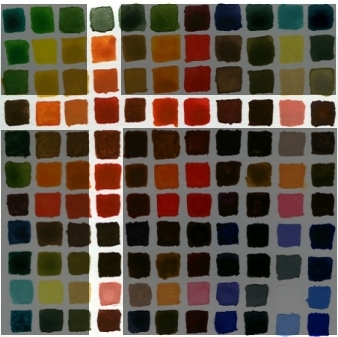 And I want to use this as an occasional guide when reaching for a color... I was surprised by some of the colors created. Cool exercise. Lots of things going on in my personal life, and so I'm up late trying to accomplish one thing that I wanted to do today, which was to work on my palette color selection and mix some paint. I've learned from reading and from practice that it's not hard to mix any color that you need, but it is hard not to get all excited about the 89 colors that paint vendors push at you. No one actually needs all of those, and with a bit of practice, in theory, a person should be able to mix any color from a good selection of base colors. Tonight, I worked orange. I mixed it with every other color in my initial palette and was surprised by the results. 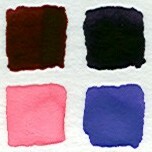 Here are the colors that I first selected in my palette (plus white and black, not shown in this picture). Orange is on the left. 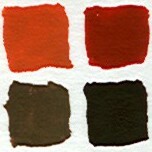 Now on the top row, here are the same colors mixed with orange, with white and black on the far right. The original colors are on the bottom row. What struck me about this is how similar the results for the greens and for gamboge and yellow (2nd and 3rd on the left). I used viridian, a bit of blue, and yellow to reproduce sap green. I came real close. Then I mixed it with orange to reproduce the blend and that too was very close. So I don't need sap green. 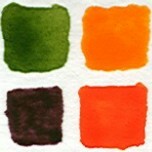 And the same results with gamboge, although I like gamboge as a color. One last thing that I want to point out. 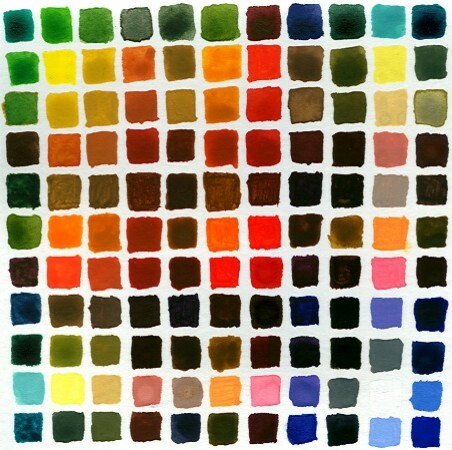 Richard Schmid, in his book, asserts that colors harmonize just fine when blended with every other color in a palette. 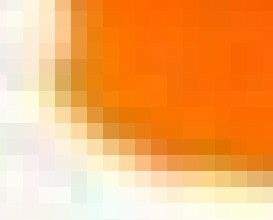 So here are the colors I made by blending every color in my palette with orange. I have to agree with him. 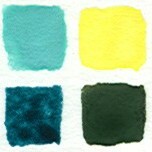 Just having the same "base" color for every mixed color brings out colors that all harmonize with one another. Color wheel be damned.